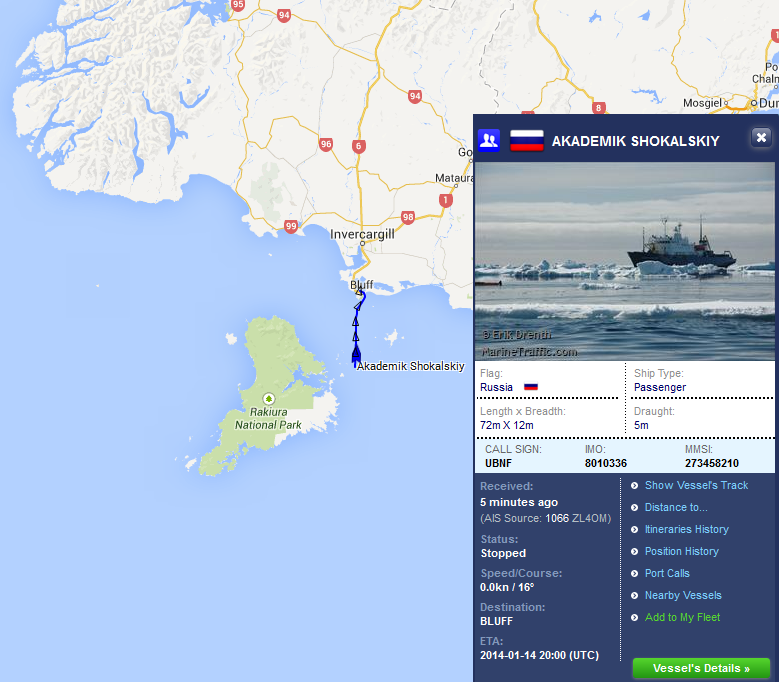 Akademic Shokalskiy makes it back to port, #spiritofmawson ship of fools still stuck in Antarctica | Watts Up With That? The comedy just keeps on coming. Plus, now it seems that Turney failed to get some approvals, and his welcome home may not be all the happy. Maybe he’ll stay in Antarctica. After having to prematurely abandon their mission due to being stuck in ice, and having a weather forecast provided that said all they had to do was wait a few more days, which came true, freeing the ship, the intrepid Dr. Turney and his gaggle of global warming geese tourists were evacuated by helicopter to the Aurora Australis, which then sailed to the Australian Casey Station to finish the resupply operations that got interrupted by Turney’s distress call. What irony that the “trapped” ship has made it back, while the #spiritofmawson fools are still at Casey base, waiting for their ride home. “Maybe he’ll stay in Antarctica.” lol! “The Antarctic 52” now join “The Arctic 30” in the history books! You are ignoring the purpose for them moving from one ship to the other – the bar was depleted on the Russian ship. Duh. You are putting the wrong spin on things. What really happened is that the crew of the Akademic Shokalskiy was rescued from the tourists by removing the tourists from the Akademic Shokalskiy. That’s some Polar Vortex Irony! So Turney’s call for help was 1) a waste of money and other people’s time and 2) very disruptive of actual scientific research. I hope that Turney has good insurance because some folks are going to want compensation. Looks like the ship of fools are good at exaggerating dangers in every sphere. The greater the danger, the bigger the heroes they are. It’s when those dangers are shown to be mostly figments of their imagination that things get all gummy. According to other blog site postings of apparently authentic communications, the expedition website also claimed approval from and support by two New Zealand institutions which they have explicitly denied earlier today their time. Looks like quite a problem is brewing. Raise the bar or lower the bar? How sweet it is … and the consequences keep piling up. Am I the only one surprised to see the interview tweet came from Andy Revkin? Nice to hear an interview where they ask straight forward questions, though. 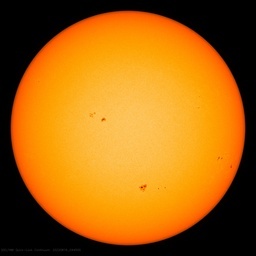 I don’t imagine the crew would want to spend any more time than necessary trapped on board with a bunch of self-anointed eco-messiahs who think the sun rises and sets around their keysters. These poor people. They panick about everything. The sky is falling in… the ship is stuck… the ice is melting… the ice is growing… the globe is warming… the weather is cooling… I can’t get any banana and peanut butter milkshakes… the penguins have to walk farther…. the penguins have to walk less… global warming is causing earthquakes… tsunamis… typhoons… bla, bla, bla. Perhaps something happened to them in childhood that can explain their current personalities. This isn’t even news about climate science. So the good professor Turney’s family expedition to Antarctica is still in progress. They must be eating rations intended for real scientists, at the Casey Antarctic station crew! He should have, for a change, listened to Anthony’s forecast, they would be much closer to home by now…. Delicious – simply delicious irony. Note to future “explorers: When on shipboard, you are either CREW or CARGO. WUWT advice is based on computer modeling on the expected weather conditions for the next few days. Why should the tourists believe on the WUWT model when they have more expensive, high energy and carbon emitting and sophisticated that could predict the climate in the next 100 years? The AS can re-supply, restock their bar and depart with their next flock of tourists eschatologists on schedule. Nice little earner someone has there. And here I was thinking that the Ship Of Fools escapade was done. I see a Chevy Chase “Vacation” movie in the future stemming from this charlie foxtrot. In the above pic of the Australis there is open water … on the sea ice page this area is covered with ice? Send in the GreenPeace ship for rescue. Oh, it’s seized property in Russia. The climate forecasters didn’t trust the weather forecasters! The Antarctic 52″ now join “The Arctic 30″ in the history books! Don’t forget to add the 28gate participants. Are they still confined to quarters to keep them from being nuisances? It is my sincere hope that the real scientists speak out about their research was delayed. .
Idiots. I hope they are thoroughly miserable. They did inspire me to try making a banana and peanut butter milkshake though. In fairness they are delicious. Oh good, I was hoping this would happen. Well, maybe for a couple of days. Looks like it might be a week. I wonder how many flights home are at risk of being missed? Akademic Shokalskiy on new mission to re-stock 850,000 litres of alcohol in Antarctica. What we see here is the real down to the earth analysis of Anthony, Coleman and the Weather Bell team versus the hysterical attitude of the Antarctic Exploration Team read climate alarmists. Anthony, Coleman and the Weather Bell Team are right and the climate alarmists are WRONG. I would love to know what the other words below “Green” were on the Aurora heli-deck (no, not the snow angel). I have suspicion the message was not complimentary. It does not matter how the pathetic Guardian tries to dress this up. It is utter, absolute and complete humiliation. Utter humiliation. Perhaps the MSM turning of the tide stems from this moment in time. The trouble is, this is typical of the alarmist story. Now the problem is for them that people are now starting to see through all the hype. If Putin were in charge of this operation, he would demand cash bonds from each tourist and pseudo-scientist before picking them up. do you have any link for the update from New Zealand? good to see Revkin linking to Australian Antarctic Division director,Tony Fleming’s interview with ABC 666 radio’s Louise Maher. after all, ABC has not reported the Fleming interview nationallly, & no MSM in Australia has bothered to pick up the quotes, or talk to Fleming themselves. no wonder the dinosaur media is dying. I knew that when I saw that Akademic Shokalskiy made it back to port and the “rescued” scientists where still out to sea that It was a great story. It is the kind of story that newspaper men like H.L. Mencken would have told so very well once upon a time before the media in the USA became sycophantic government-worshiping drones. I hope some very good member of the alternate media will take a crack at telling the whole tale in 2500 words or less. I’ll give it a shot myself someday when all the facts are in for the entertainment of the few score who will read it. The biggest trouble we have in the skeptical camp is not that we need to marshal better arguments, come up with more telling data, or make our ideas more understandable. Our biggest problem is that the fellows who “buy ink by the gallon” are all telling the “CO2 will destroy humanity” myth day in and day out. Very funny to hear the ship they were rescued from (by those evil biggest CO2 polluters the Chinese) is now home while the rescued are still stuck in the Antarctic. And – according to the interview – they are not allowed off ship at Casey – so more cabin fever than they had when stuck! Could it get any worse for them? Plenty of time for reflection I trust. “850,000 litres of fuel”. Fossil fuel at that, eh? How does that make you feel then, warm-mongers? Now THERE’s a felicitous freudian slip! By a consensus of captains, they cherry picked the wrong ship in order to hide the decline in the credibility of their passengers. Now it will be harder for them to redefine the peer review process and produce a hockey stick. Still the BBC will report “this groundbreaking scientific expedition has proved climate change is worse than we thought”. The Guardian will report “this groundbreaking exhibition has proved climate change is verse than we thought”. Shush! Don’t let the public know. I’m having a riot watching this but I don’t believe the Russians dumped their passengers because they were running out of food. Wasn’t the second leg scheduled for 3 weeks? Wouldn’t they bring extra food as a precaution. Couldn’t the helicopter have dropped off enough food (e.g. banana milkshakes) to keep the scientists (clears throat) well fed enough to continue their important (gags a bit) work? What’s cheaper?—providing a ride out of Casey Station for the “ship of fools”, or re-supplying Casey Station for a year to feed the same bunch? I’d donate $10 for re-supply. Surely that would be a death hose, responsible for the extermination of hundreds of species? Self-respecting environmental activists would do everything in their power to protest and disrupt operations. Or maybe not. It would just prolong the agony. Better to let it pass this time, and get home sooner … can then get back to harping-on and putting the world to rights in the comfort of the faculty common room sofa. Was one of the presstitutes complaining about running out of milkshake? If Casey doesn’t have a Centrelink office, they should be dropped at the closest available – it’s all these clowns are good for. You weren’t impressed by an expedition to study the devastation of global warming on Antarctic ice conditions getting stuck in the ice and blasted by a blizzard in the height of summer? Our original understanding was that several of the twits were having their ‘celebratory’ last drinks because they were going to a ‘dry’ ship; i.e. dry means no drinking while on board. Perhaps the Akademic Shokalskiy could give them a lift home?. Their present schedule will only get them back on the 22nd. The first of these listed government supporters is questioned: Department of Conservation, Landcare Research, and the University of Waikato. I don’t know why Mr. Turkey said that he had approval. He did not. He also said that Antarctica could be unpredictable at times, then took along his wife and kids. He called his Akademik an ice-breaker when the Russian government owners called it a tourist class vessel. He said……………………….Oh never mind. Get the tar and feathers ready for this fool. Well, just the tar. Since Dr. Christmas Turkey chose to try and enter Antarctica during it’s summer melt maybe he didn’t notice what is going on. Yet he is supposed to be a Calamatologist! We must act now! It’s all for the grand kiddies. Where is Monseigneur ‘Death Trains’ Hansen when you need him? This is more entertaining than an episode of Gilligan’s Island. They can’t get off the ship at Casey because their carbon footsies are too big to fit through the doorways. Logically perfect: compulsory material for teaching inductive reasoning in courses of study leading to any degree in (cough) “Environmental Science”. I call for another immediate evacuation. Are there any submarines or small dinghys nearby? The AP also says the AS is an ice breaker. Does Tur[k]ey also write for the wire? 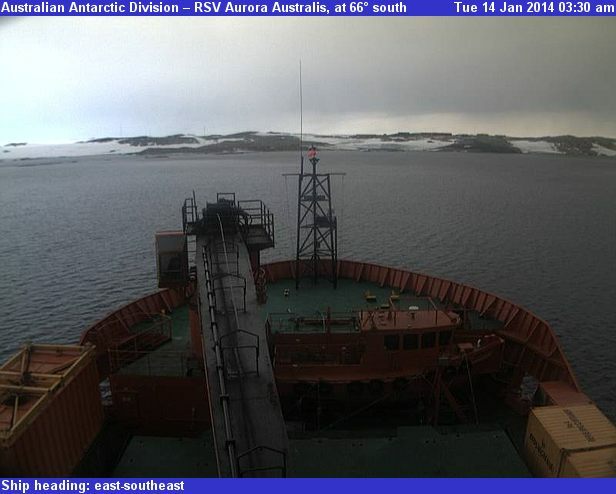 Right now 1110AEDT the Aurora Australis is at Casey – the foredeck crane is stowed – a crane hook is visible above the stern – it is snowing, visibility is poor, wind is 20kmh and a small boat departs to port. Turney & Co are going to have difficulty offsetting this mess. This type doesn’t actually “plant” much, just 6 trees then the photo opportunity. I suspect that if they do anything at all, it will be to pass the task on to some volunteer agency. What Mawson went through was his skin fluffing off and other un-mentionables. What Mr. Turkey et al went through was worrying about yogurt, milk-shakes, cafe latte, delays and cuddling penguins. THEY DON’T MAKE THEM LIKE THEY USED TO. Warning: Never, ever believe a word these people tell you because they have invested their money hard. Look at Mr. Turkey. LOOK! One good thing, I have learned something about the Australian Antarctic science program following the ship web cam and reading the sit reps. Reading the reports it does mention the new passengers a few times. Leanne and Mark thanks for the updates on the ship. Cheers back at you. 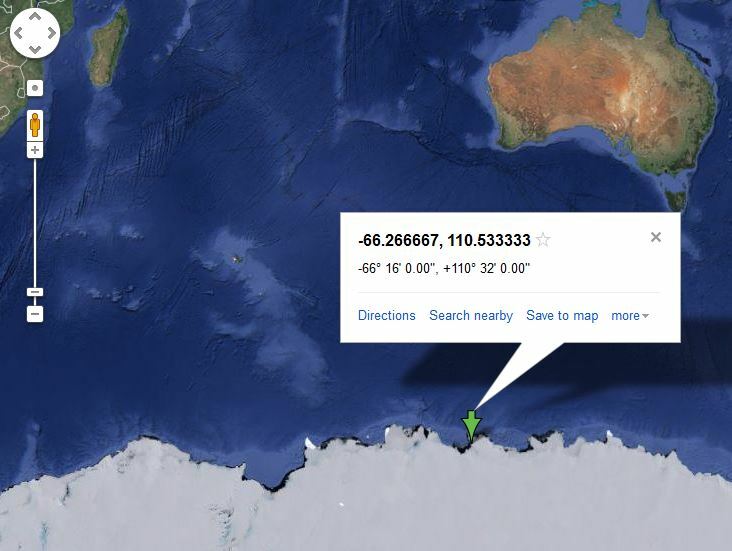 Just a technical question: how can a ship located in Antarctica be traveling “east-south-east”? Aren’t all directions either “south” or “north”? What is the base reference point? The Circumpolar Vortex in the north is counter-balanced by the Circum-Shokalskiy Vortex in the south! I’m happy the crew made it back to the home port, Turkeys are still in Antarctica. Al Gore should be held liable for all rescue costs related to saving his starry-eyed followers. He should also be required to wear a sign that says: “It’s the Sun, stupid!” With the so-called “Arctic Vortex” freezing the Northern regions and the Arctic summer freezing icebreakers in place in the Southern regions, just where is this global warming when you need it?? I still say Al Gore is among ’em and they just don’t dare admit it! and having a weather forecast provided that said all they had to do was wait…. I expect the Akademik crew will have been enjoying a couple of scoops ashore by now. They’ll be in high spirits. With loosened tongues, the locals will be treated to some amusing details and anecdotes I’m sure. 13 Jan: UK Telegraph Blog: Sean Thomas: What if man-made climate change is all in the mind? I would imagine that various disgruntled passengers will have their own version of this sorry tale to tell when their ship finally comes in. I hope at least one journalist has the nous to hit the docks on arrival and ask some pertinent questions of them. Let us be respectful regarding the plight of the crew of the Aurora Australis and remember that they are carrying some very valuable and critical cargo … as well as that sorry lot led by Professor Turkey. I wonder what kind of rations are available on board for unplanned passengers. It’s so good, I can’t help myself! I am starting to feel a bit sorry for the passengers. They must be starting to feel unwanted, and that their presence is an imposition. This is rough on the ego of a do-gooder. They have been demoted. One day they were saving-the-world in peace and comfort, and now all of a sudden they are nothing but a cotton-picking burden, in what (to them) is discomfort. However, when I compare their discomfort to the discomfort of elderly pensioners living in fuel poverty, or third world people barely able to afford a single meal a day, I think the ship should download them ashore, and the base should ship them inland to a remote bunkhouse formerly used by birders studying an abandoned penguin rookery that hasn’t seen a bird since the MWP. An unworthy and ungenerous thought, I’m sure. Thank heavens they got them out… All their “hot air” was beginning to melt the ice. Has anyone ever wondered why sea ice seems to be breaking up more and more (Arctic), and then thought about all the ice-breakers charging about? Its just a correlation, but sure seems relevant somehow… LOL. I wonder if the “cheer-up” woman is wearing a little thin by now. As in very thin. You know, the inevitable 50+ one who was making up songs and leading the would-be scientists in rousing and rib-tickling choruses. No doubt she has a whole bunch more. Check that AA crane to see if she’s been isolated on its hook. Let’s hope there are some reports about their playschool passengers from the crews of the Academik Shokalskiy and Aurora Australia very soon. Unbelievable, they are still at 66S (and were delayed for days from getting to Casey by a large number of ice-bergs apparently) while the Shokalskiy is already in New Zealand stocking up on vodka and getting their ship repaired. You couldn’t even make up such a science-fiction disaster story if you were Al Gore. Maybe another rescue ship/helicopter should be sent. Can we rescue them to 90S for a year or two? For directions in Antarctica the Prime Meridian is north. It is the line of longitude that separates east and west Antarctica. The winds are taken in a system called grid north where 0 degrees is north and 180 degrees is south. Southern Hemisphere Sea Ice Area may set a record for the Highest minimum in recorded measurements, may even be as high as 4 million square kilometers, almost a million higher than previously. Should we be making something of this in view of this expedition or do you prefer to wait until after the event? I wait for a journalist, to interview those presstitutes from the ship of fools. “Why were you on board, sonny? You did no reporting, so what was your function? Times 5. I expect the Akademik crew will have been enjoying a couple of scoops ashore by now. They’ll be in high spirits. With loosened tongues, the locals will be treated to some amusing details and anecdotes I’m sure. Is there a WUWT pub crawler…. er, ‘investigative reporter’ in the Bluff port area that might locate the ‘ol watering hole, stimulate their tongues with a few rounds bought and report back here? Anybody??? A slightly smaller problem is that some of the noisier members of the sceptical camp seem to be wild-eyed, foam-flecked, right-wing loonies, who cannot refrain from inserting their political ideology into the debate. Reasonable, moderate people find their politics repellent, and associate those politics with the sceptical camp as a whole. Your wild-eyed, foam flecked comment is not reasonable, moderate, or informative. Who are you referring to? Great humor in this thread! I hope that the following is not too over-the-top. Q: What do you get when you cross a Penguin with a Turkey? A: A mentally retarded Penguin. Anthony might like to take on this newpaper reporter. @tchannon, thanks, the guy can’t even spell my name right. Watts, not Watt. I here that it’s nice down there at this time of year. What a lucky adventure for this group to get the complete tour. I visualise one of the new passengers on the Aurora Australis going up to the captian to complain about the delay in getting back to Australia. Material for a tragi-comedy there. As a presenter for Al Gore’s Climate Project since 2006 he has spoken to more than 9,000 Australians about our environmental and energy challenges. Since September 11, 2007 he has written a weekly column, Climate Challenge, published in Tasmania’s major newspaper, The Mercury. In April 2009 he founded the blog site Climate Tasmania. As I understood it, the press were on board so that they could bring to the world “what they found as quickly as possible”. Funny how quickly their mission got forgotten. Must have been all that vodka, no? the Peter Boyer attack on Watt (sic) & Bolt originally appears in Boyer’s lonely little blog. surely if Boyer can get published in Murdoch’s Herald Sun, with a piece attacking one of their own writers, Anthony Watts should be given space to respond, given the popularity of WUWT! I don’t know where the post went but…Peter Boyer links to SkS and HotWhopper under the climate/energy debat section of his blog. AP knows little about shipping. How about the Russian Maritime Register? Speaking of Bolt; guess who’s on vacation in Unzid? Totally unrelated to the saga of the Akademic Shokalskiy, I had occasion yesterday to research the details behind the extreme roll incident of the Pacific Sun in 2007, depicted in this YouTube video. Views of the interior conditions can be seen here . You can read the inquiry report from the UK Marine Accident Investigation Branch here . It makes interesting reading. As is often the case it was not one single event or misjudgement which got the ship in such trouble, but a sequence of them. I assume there will be come kind of official inquiry whenever a ship at sea signals distress, but in this case I do not know under what jurisdiction it will be held. The Akademic Shokalskiy is Russian flagged, but Australia somehow ended up with operational responsibility for the incident, so my guess is the inquiry will be held by Australian authorities. It will be interesting to read the inquiry report when it becomes available. Perhaps Australian readers could monitor and report. I botched one of the links above. External footage of the Pacific Sun rolling can be seen here . In case I botched it again, the link is: . And the burning question of the day is whether WUWT/Wordpress will have a preview feature before someone develops a practical thorium reactor. Difficult to say which one would be a greater benefit to civilization, but here’s hoping for both. Total irony would require for the Aurora Australis to be unable to return to the north because ice is suddenly getting blown in, keeping the pleasure cruise down there for winter. You might be surprised to learn that there are people that have been doing exactly this, studying how penguin colonies have been shifting north and south as climate changes. It is fairly easy to date the changes by radiocarbon, since the temperature never rises above zero the frozen remains of the penguins last practically for ever. However these people are real scientists who haven’t tried to twist their results to fit the CAGW narrative, so practically nobody has ever heard of them. Kiselev did declare a pan-pan, not a mayday. the Russians will carry out a full vessel inspection (and presumably that will include a report into what happened). Totally unrelated to the saga of the Akademic Shokalskiy, I had occasion yesterday to research the details behind the extreme roll incident of the Pacific Sun in 2007, depicted in this YouTube video. Views of the interior conditions can be seen here. In the Shokalskiy class vessels everything is solidly bolted down, and the passengers are issued with coffee mugs of stainless steel, for very good reasons. The Pacific Sun rolled 31 degrees, which is quite a lot, but I’ve been in a sister ship to Shokalskiy when she rolled 40 degrees. Surprised there has been no comment about the 666ABC interview. It is great stuff – you have to read between the pauses in Dr Tony Fleming’s responses to really get the gist!